At first glance, Chrome OS may seem like a simple browser operating system, but trust me when I tell you it’s much more than that. At its heart, is a Linux operating machine. Chrome OS is simply built upon the foundations of Linux to provide a custom experience that is easy to use. But with simplicity does come some limitations. What if I told you that you can install Linux on your Chromebook and transform it into a complete Linux laptop? Would you believe me? Believe me or not, the fact is it’s true. Today I will show you how to install Linux on your Chromebook so you can start running a full desktop operating system on your Chromebook. Crouton – Crouton was actually developed by a Google employee and uses a chroot environment that allows you to run both Chrome OS and Ubuntu alongside each other at the same time. This has many benefits, the main one being that you can easily switch back and forth between the two different environments with just a keystroke. 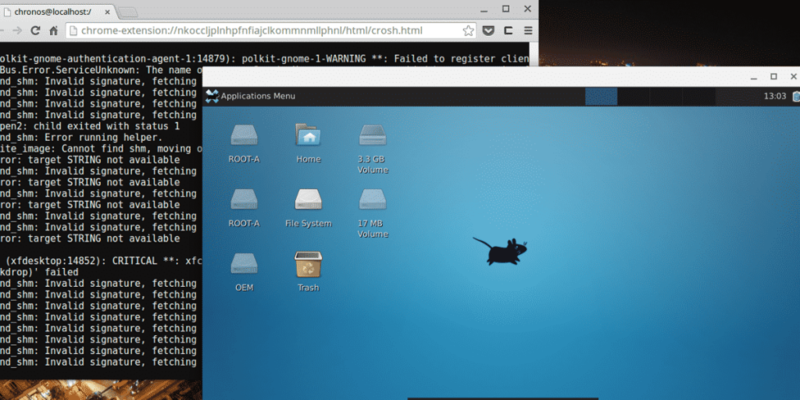 ChrUbuntu – This is a more traditional multi-operating system setup. If you have ever run multiple operating systems on your computer, it will seem very familiar. It uses a traditional dual boot setup with one install of Chrome OS and one install of Ubuntu. To access them, you must reboot your computer and specify which operating system you want to use. Which one you use is completely up to you. Both offer their own benefits and weaknesses and it really depends on what you want to accomplish. But, if you do plan on switching back and forth, it’s hard to beat Crouton. But, if you prefer to stay on the Linux side of the world. ChrUbuntu is the best option. For the purposes of this guide, I will be installing Crouton. The reason for this is I want to be able to switch back and forth between both operating systems without rebooting the system every time. I also want to easily share files, and while both are pretty good at it, I just prefer Crouton, and since we are doing this on my Chromebook, Crouton is the choice I have made. Ready to get started? While Chrome OS relies heavily on the cloud, many modern Chromebook come with a respectable amount of storage. This means that you could have important files stored on your Chromebook. Backup any of your data and files to the cloud or to a USB device before you go any further, as this process will wipe out everything you have installed on Chrome OS. Once your data is safely backed up, it’s time to get started. The first thing that needs to be done is the Chromebook needs to be placed in Developer Mode. By doing so, your Chromebook will be wiped. Now you see why you needed to backup your data. 1. Hold down the ESC key and the Refresh key on the top row of your keyboard and tap on your power button. 2. 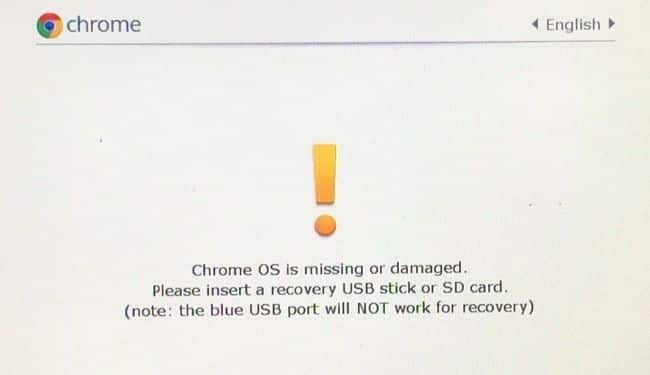 Your Chromebook will reboot into the recovery screen. Press CTRL+D and answer yes to any warnings. Your Chromebook will now reboot and wipe all the data on it. Once the wipe is complete, you be returned to initial setup screens you experienced the first time you turned on your Chromebook. This process does take a little bit of time and you may hear a few warning beeps along the way. Don’t be alarmed but do be patient. For me, this process took around 15 minutes, maybe a little more. I’m not exactly sure because I didn’t use a stopwatch. But, once the process is complete, you will be in Developer mode and you will stay in that mode. One other thing you should note. Now, every time you reboot your Chromebook, you will get a warning screen reminding you that you are in this mode. To bypass this, you can either wait 30 seconds or you can press CTRL+D to bypass this screen. This one is pretty straightforward. Once your Chromebook has been placed in Developer Mode and you have signed back in, all you need to do is download Crouton. You can download it at this link. The download is not large, as most of the install will be done using your Internet connection. This is the default setup for Crouton and the easiest to do. The last switch of this command will install the xfce desktop, but you can use Unity if you wish. However, Unity is a bit of a resource hog so I would recommend against it, even though it is pretty. 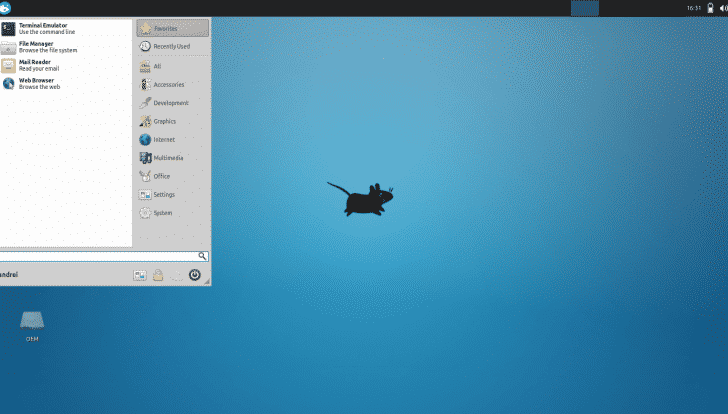 Xfce is much more resource friendly and can be customized to look every bit as nice as Unity, in my opinion. The actually installation process will take some time, so be patient. During the installation, make sure your Chromebook is plugged in and has plenty of battery, as we don’t want any power interruptions. How long the process takes will depend on many factors, including the speed of your particular Chromebook and the speed of your Internet. For me, the process took just under a half an hour, but your times may vary. The installation is largely automatic although you will be prompted to create some passwords along the way. Once the startup is complete, you are ready to use your full copy of the Linux operating system. Now you may be wondering exactly how you get into your installation of Linux. After all, there is no prompt when you reboot or anything like. Thankfully, they have made it pretty darn easy. To switch between the environments, all you have to do is enter SHIFT+CTRL+ALT+FORWARD or SHIFT+CTRL+ALT+BACK. Note: these are the forward and backward arrow keys found in the top row of your Chromebook keyboard. In most cases you should find them next to the ESC key. Using Crouton isn’t any different from using pretty much any version of Linux. Remember, this distribution is based on Ubuntu, so you should have no shortage of software you can install. However, in my tests I found that the Ubuntu Software Centre does not get installed. So that means you will need to install most of your software directly from the terminal. But don’t worry, it appears that all the repositories are intact on the system, although I must admit my tests are limited here as I only installed a few pieces of software. Still, the end result is the same. 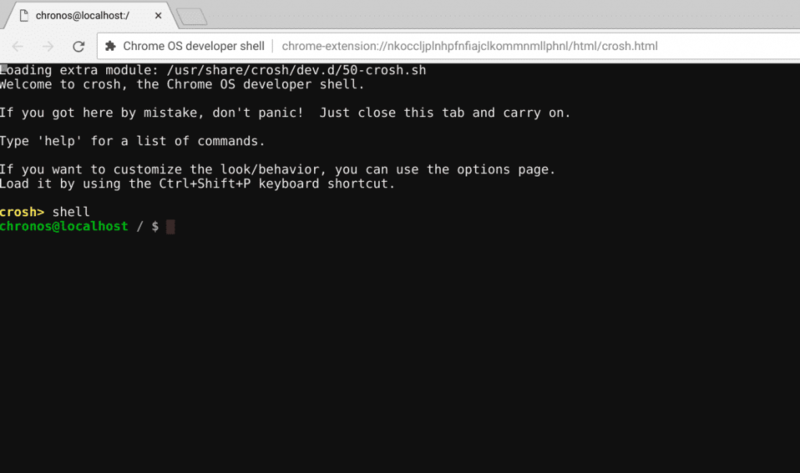 You now have a fully functioning version of Linux running on your Chromebook. Who knew that you could do something like that on a highly affordable system such as this. But remember, your experience may vary. How well it will perform will depend on your hardware, and obviously the higher end systems will perform much better in Linux than the low end systems. If you no longer want to use Linux, or if you are selling your Chromebook and want to return it to factory settings, here’s what you need to do. 1. Backup any important data on both Chrome OS and Linux. 3. At the warning screen, tap the Space Bar and then press Enter. 4. Wait for your Chromebook to remove developer mode and wipe all your data back to factory defaults. As you can see, it’s easy to undo any changes you make to your system if you are using Chrome OS, so there really isn’t any reason to not give it a try. After all, what do you have to lose? Chromebooks are more powerful than you realize, and with their ability to load Linux, you truly can unlock their potential. With Crouton, you can easily install Linux alongside Chrome OS so you can use both without rebooting. This gives you the best of both worlds and they are but a keystroke away from each other. With this power, you no longer need to find a laptop just for Linux, unless you just want one. Have any of you out there with Chromebooks ever used Linux Crouton before? If so, did you think the install was easy or did you have difficulty? Tell me about your experience in the comments below.